As social media managers deal with a range of Facebook metrics, it’s easy to lose focus on improving numbers that play clear roles in brand and business growth. To reach and capitalize on target markets in a sea of 1.6 billion monthly active users, it often helps to create strategies that concentrate on a small group of analytics. Quickly responding to consumers’ messages can keep their issues from escalating. Building this metric is becoming increasingly important, as 67% of online consumers have used a company’s social sites for service updates and inquiries, according to a 2013 JD Power study. Page visitors can see your response time, learning if it’s worthwhile to send you a DM. And — because your response rate is publically visible — it demonstrates the importance you place on customer satisfaction. Reference an FAQ List: Refer to an FAQ list, which you should regularly update, to reply faster. It’s okay to copy and paste a response, as long as you slightly customize it based on the person’s phrasing and specific needs. Ensure You Get Phone Notifications: Getting notifications on your phone should help you stay on top of new messages, helping ensure they don’t pile up. Have a Community Manager: This only applies to those who have the necessary resources, but hiring a community manager ensures you have someone dedicated to handling consumer questions and complaints. On the surface, earning page likes shows that people are interested in you. But it also addresses issues surrounding ad cost as well as organic reach and impressions. Although organic reach and impressions are low across Facebook due its latest algorithm, amassing likes will deliver your updates to more timelines. It’s also cheaper to advertise to users who’ve liked your page than those who haven’t, allowing you to get more out of your ad spend. 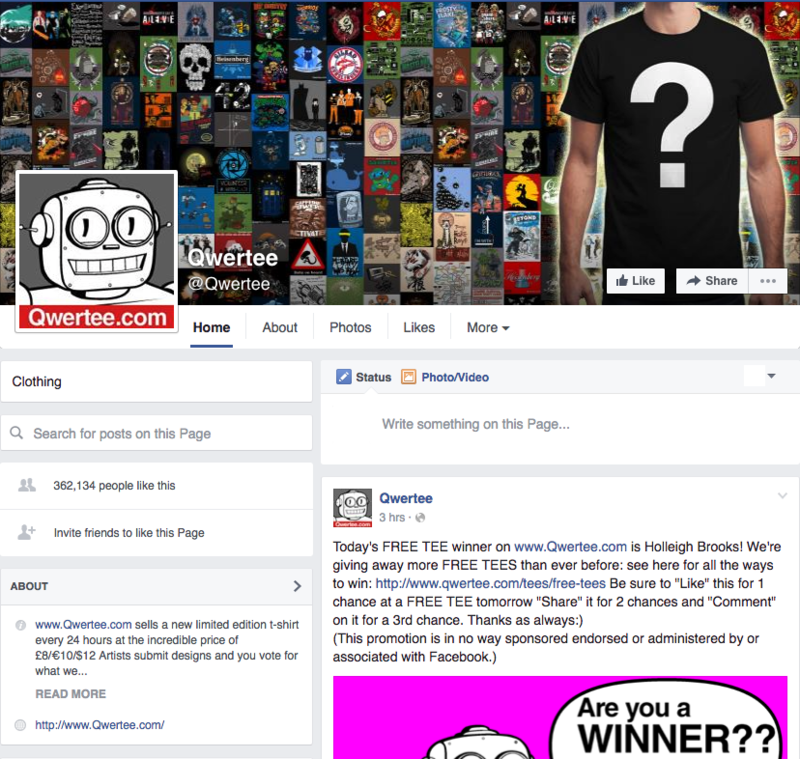 Run Contests: T-shirt company Qwertee ran a now-famous contest that encouraged users to like its Facebook page and submit their email addresses. Giving away 30 shirts, Qwertee set a goal to reach 100,000 likes. It now has more than 360,000. Promote Through Other Social Networks: Direct followers from Twitter, LinkedIn and other platforms to your Facebook page by sharing links to posts and content that exclusively appear there. A high click-through rate shows audience members are interested in your content, bringing them to your website. Drawing attention to content through standard updates can be a challenge, though. Even if your post pops up in newsfeeds, consumers may not want to click. Adjust Copy Length: Short copy typically earns more clicks than blocks of text, according to many studies. For example, Jeff Bullas found Facebook posts with 80 characters or less earn 66% more engagement than longer ones. Similarly, Copyblogger determine that Google+ headlines shouldn’t exceed 60 characters. 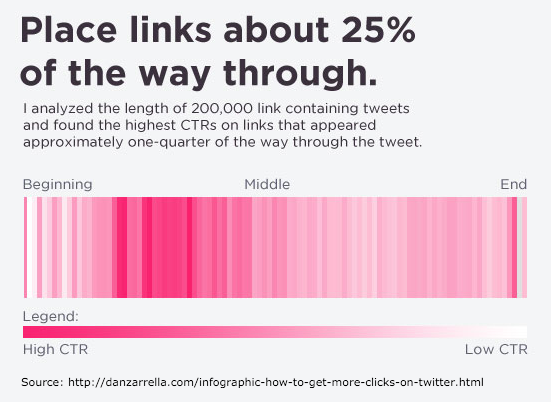 Experiment with Link Position: Links placed near the start of posts may earn more clicks, according to social media scientist Dan Zarrella. Examining 200,000 posts, he found that users are most likely to follow a URL if it appears a quarter of the way through. But keep in mind, this research pertains to Twitter. Since this metric counts and categorizes clicks — be they for sign-ups, phone numbers or other information — it tells you how and why people use your Facebook page. You can adjust your page’s uses and features based on this information, whether to amplify popular actions or draw attention to other ones. Adjust the CTA Button in Your Header: Add a CTA button to your header that reflects a certain page action, making it easier to complete. Some analysts discount it as a “vanity metric,” but a high engagement rate generally proves your posts intrigue audience members by appealing to emotions, interests or pain-points. On the other hand, a low engagement rate may indicate a failure to do so. Engagement can also lead to backlinks, which is important for SEO. 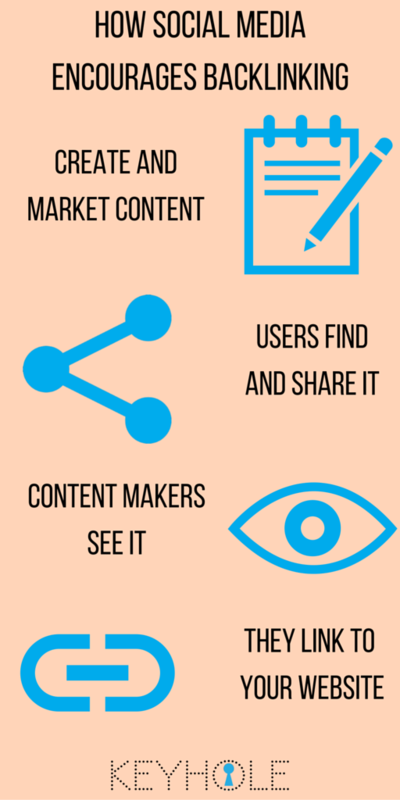 As users share content you’ve posted on Facebook, it could find the eyes of content creators. In turn, they may create pieces that link to it. Make Multimedia Posts: Facebook posts with images earn 53% more likes, 84% more clicks and 104% more comments than those without, according to a HubSpot study of more than 1,500 companies. Respond to Comments: Regularly replying shows that you invite discussion, possibly encouraging more comments from fans. Post More Links: Although the research pertains to Twitter, a 2010 Microsoft study found that posting links is the best way to boost shares. Analyzing more than 200,000 retweets over a two-month span, researchers found 52% contained a URL. That compares with 18% that included a hashtag and 9% that had an @mention. People must see your content to engage with it, but putting ad money behind an update isn’t always an option. That’s why Facebook marketers should optimize their posts for organic reach and impressions. Impressions being the number of times a post is displayed to users, and reach being the number of unique users who saw it. 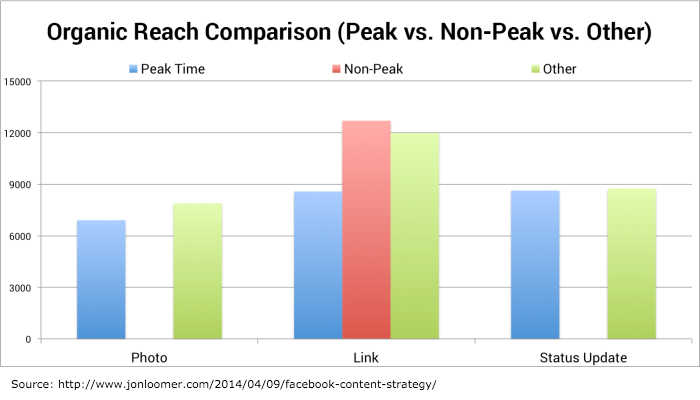 Post During Non-Peak Times: Contrary to common belief, sharing content when the bulk of your audience is online won’t always increase reach. Posting the same amount of links, marketing researcher Jon Loomer earned an average reach of almost 13,000 during non-peak hours. That compares to an average of less than 9,000 during peak time. Follow Established Posting Research: There have been many studies about the best times to post on different social platforms, but there seems to be a general consensus about which times work best. As per the Huffington Post, the ideal Facebook posting times are between 9 a.m. — 7 p.m. on Thursday and Friday. Specific times vary between industries and audiences. Partner with Other Pages: Ed Leake, a leading branding strategist, says “Partner with a parallel business or community. So, if you’re selling shoes, what about the guy or girl who’s selling socks?” Promoting one another’s content will not only boost reach and impressions, but network referral traffic — this list’s next metric. Your Facebook page has the potential to drive a large amount of traffic to your website. Almost a third of all website traffic comes from social media, according to a 2015 Shareaholic report. What’s more, analytics firm Parse.ly says Facbeook alone drives more traffic than Google for some news and content-based organizations. Run Remarketing Ads: To drive visitors back to your website, run remarketing ads promoting new content. First, install the Facebook pixel on your website. Then, create a custom audience containing users who’ve been to your site through the social platform. Create ads for these audience members, boosting network referrals when they click. Post to More Groups: Facebook activity isn’t limited to your page. Find groups that cater towards your audience members or people in your niche and industry. Share your content pieces to drive referral traffic. Some analysts may consider social influence another “vanity metric,” but a high score indicates the success of other metrics such as shares and profile visits. You can find your score using tools such as Klout, which gives a rating on a scale of 100. Base Content on Socially-Popular Pieces: Create a content calendar that borrows ideas from pieces with high social share counts. Doing so allows you to piggyback off their popularity. For example, if a given blog post has earned thousands of shares, create and promote a more detailed rendition of it. Certain social media monitoring tools can help you quantify a given article’s share count. Track URLs using this search box, seeing how many people have posted them. Base Content on Google Search Results and Suggestions: To improve influence score, you can also create posts based on relevant topics for which people are searching. Google a keyphrase and determine what the top results have in common. 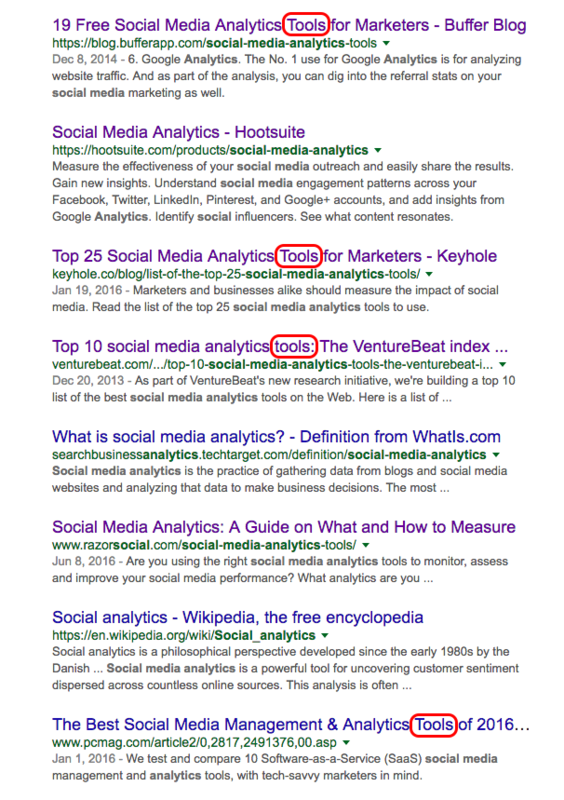 For example, searching “social media analytics” will reveal that the main search intent is for tools. Chances are, your Facebook audiences is looking for similar information. The assisted conversions metric gives you a look at how your Facebook activity drives action on your website. Here’s a sports analogy: Despite doing the heavy lifting, #43 gets the assist. His teammate, #24, gets the conversion. To clarify, if a social platform plays a role in the conversion path except the last interaction, it gets an assist. Let’s say someone goes to your site through a Facebook post. That person leaves and comes back a few days later to convert. Facebook gets an assist. 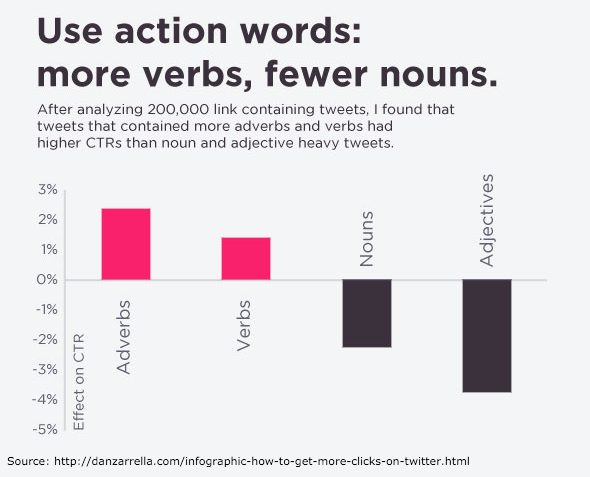 Start CTAs with Adverbs: Posts that use CTAs beginning with verbs (go, try) and adverbs (quickly, generously) will drive more traffic to your website than ones bogged down by nouns and adjectives, according to Zarrella’s research. Optimize your Landing Pages: It’s a no-brainer — to get assisted conversions, consumers have to eventually convert. Start with your forms. Landing page forms with less than five fields see a 160% conversion increase over those with more than 10 fields, says research from Formstack — a program for building web forms. Then, run A/B tests to determine if headline phrasing impacts conversions. Roll with the best one. Referring to conversions you earn through ads, paid conversion rate is typically a guiding metric behind a Facebook advert strategy. That’s because, although reach and engagement matter, the an ad’s general purpose is to turn prospects into customers. Calculate the metric by dividing the number of conversions an ad earns by the number of people who see it. Use your current rate as a benchmark for future performance. Reference Audience Data: Use Facebook Insights or a third-party social media analytics tool to pinpoint audiences when crafting an ad and setting its targeting criteria. Assume you handle social media for an apparel brand. By looking up fan interests, you discover the bulk of them are into sports. You now know it’s viable to target consumers who have this interest, using copy and images that highlight athletic attire. Follow Assisted Conversion and Network Referral Strategies: Optimizing your landing pages and running remarketing ads can also boost your number of paid conversions. Focussing on these 10 metrics should yield clear growth, whether it be in the form of more conversions or greater audience interaction. It may take time to see the numbers improve. But that’s the case with many marketing activities. Once they do, you’ll have enacted Facebook strategies that are largely transferable between brands and businesses.